SKINCARE REVEAL. 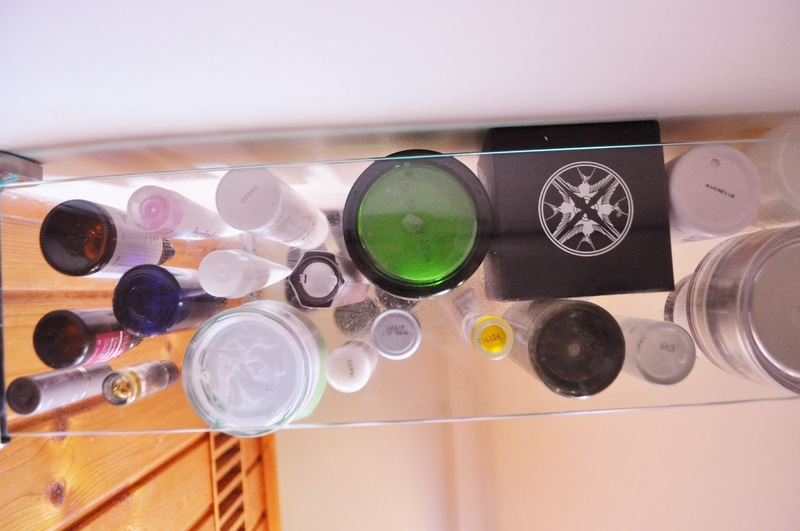 THE BEAUTY SHELF. | Life Looks Perfect. SKINCARE REVEAL. THE BEAUTY SHELF. 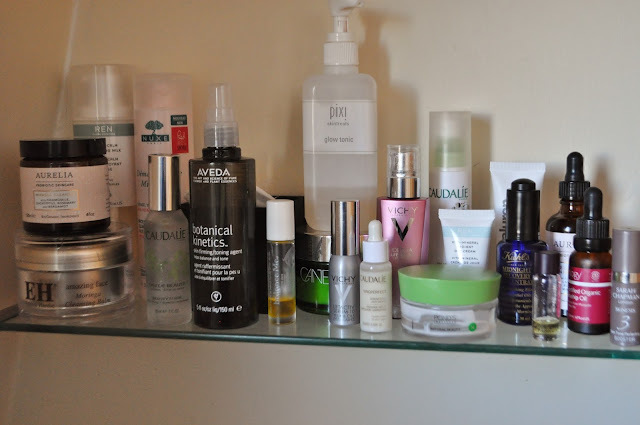 As a little last post before we log off from the world and jump into our Christmas onsies by the log fire, I thought I would share with you a quick reveal of my pride and joy - my skincare shelf. Without writing for hours, I thought I would share, what I have been using for the last 2 months or so and write about a few of my star products. Hopefully in the new year, I can write up a second review of all the bits I missed out on. First up is my four favourite products on my shelf, my cleansers. Over the last few months, I have been using all four at the same time, picking randomly which one I use each day. I have been listening to what my skin needs and when it's feeling sore or looking tired etc I use the right cleanser for my skins needs. I have found this has been the best thing for my skin and means I get to enjoy all four of my favourites at once! Starting with my most recent purchase is the beauty cult classic - Emma Hardie Moringa Balm. This balm, is one word - luxurious. I can't explain the pure happiness that this balm brings to my skincare routine. An indulgent, rich texture, you only need a small amount of the balm on your fingers, which then I like to massage for a minute or so on my skin. The scent of this balm is lovely and sweet but doesn't linger too much on your skin. As I don't wear too much make up, I tend to use this cleanser only on days where I have as it literally melts your make up away. I prefer to use this cleanser at night just as it is a tad heavy for my morning routine. I quite casually popped Aurelia's Miracle Cleanser c/o straight into my skincare routine from the first day I tried it as it is beautiful. The rich creamy cleanser, is soothing, calms my skin and certainly keeps my skin hydrated in this chilly season. I tend to use this cleanser at night, everyday and it is definitely my go to cleanser. Next up is REN's newly named Evercalm Gentle Cleansing Milk. This is a gentle, light and delicate milk cleanser that is perfect to use when your skin is feeling slightly sensitive or sore. If I have an outburst of evil spots, I like to use this cleanser to calm my skin. In the mornings, I either use this or Nuxe Micellar Rose Water, ohhhh boy I love this stuff! On my beauty shelf you will find Pixi Glow Tonic, Cane and Austin Acne Treatment pads c/o and Aveda Botanical Kinetic Toning Mist. The newest addition to this collection is Caudalie Beauty Elixir. Yes, I know, I have been slow on the band waggon for this one but boy am I happy to have finally purchased it. This spray is a lovely light and radiance enhancing product, which smells so refreshing and uplifting in the mornings. I only use Beauty Elixir a few times a week to give my skin a lovely glow. My skin prep'ers before applying my moisturiser have included the fantastic Vichy Idealia Serum c/o, which I have sadly ran out of now, a cute mini sample of Caudalie's Vinosource Thirst Quenching Serum c/o that has been a firm favourite of mine for a while now and Balance Me Radiance Face Oil c/o. The lovely Vicki from Lets talk Beauty was kind enough to send me a roller ball sample of Balance Me radiance oil, whilst she was having a little Spring clean. Since receiving it, honestly it was my favourite oil. 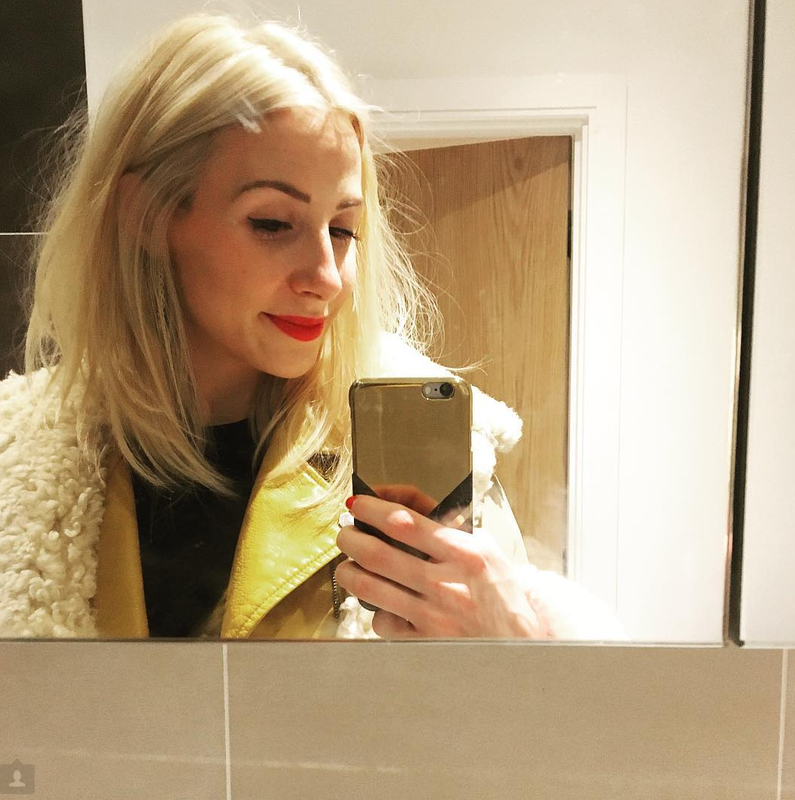 I used it before applying my moisturiser, which gave my skin a glowing complexion and it was the perfect bad skin pick up. Finally my moisturisers and oil collection has slowly been growing and growing. With treatment oils being the perfect end to an evening, where I can wind down and give my skin a real treat, you have to have a few choices right? My two go to moisturisers have been REN's Evercalm Global Protection Day Cream c/o and Pond's Institute Natural Beauty Cream c/o, which I reviewed fully HERE and I wrote about my three favourite oils in my last skincare review HERE.